Baton Rouge, LA – January 27, 2011 – Stripes Convenience Stores are having an open conversation with their customers on Twitter and displaying it for everyone to see, thanks to Lamar Advertising (Nasdaq: LAMR) and Firehouse Agency. 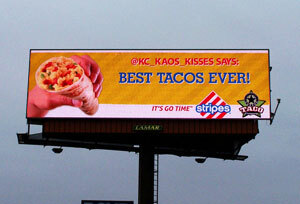 For the next month, people driving by Lamar’s digital billboards across the state of Texas will see what customers are saying about Stripes on Twitter. Capitalizing on the real-time nature of both social media and digital out-of-home is part of a new advertising strategy that is reinventing outdoor and keeping customers engaged. Lamar Advertising’s digital billboards in the Corpus Christi, Brownsville/Rio Grande Valley, Laredo, Lubbock, Midland/Odessa and San Angelo markets are being used for the campaign. 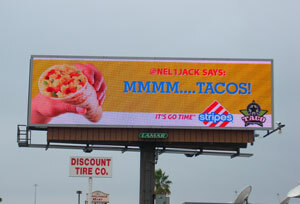 Stripes is promoting tacos – their most popular product – and creating a conversation in the Twitter community. By posting live tweets on eight digital displays, Stripes is extending an opportunity for consumers to become copywriters for their advertisements. The campaign runs through March 3, 2011. 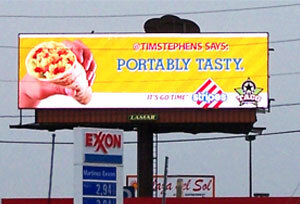 This isn’t the first time that Lamar Advertising has used digital capabilities to make a statement in social media. Lamar often posts their latest Facebook fans’ photos up on digital billboards and has streamed live tweets from their followers on Twitter. 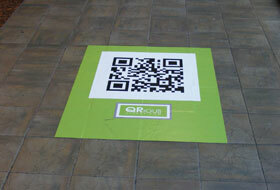 Lamar has 1200 digital billboards across the U.S. and Puerto Rico. Founded in 1902, Baton Rouge-based Lamar Advertising Company is a leading outdoor advertising firm operating over 150 outdoor advertising companies in 44 states, Canada and Puerto Rico. Lamar’s logo businesses operate in 21 states and the province of Ontario, Canada. 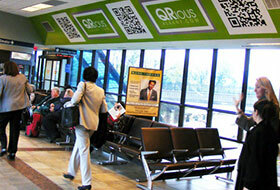 Lamar also has over 60 transit advertising franchises in the United States, Canada and Puerto Rico.